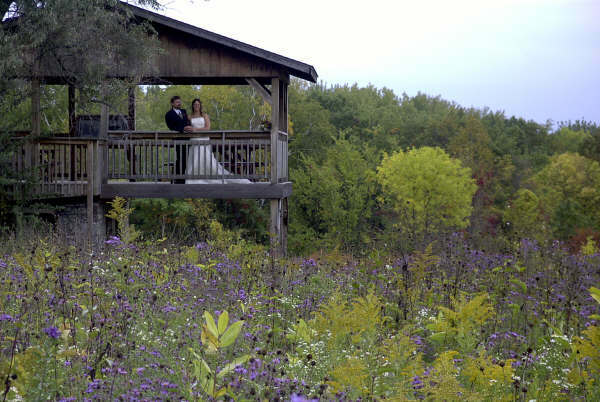 Carpenter Nature Center has a variety of unique and reasonably priced rental spaces available for meetings, dinners and weddings. If you are looking for event venues in Minnesota, CNC may have what you need. 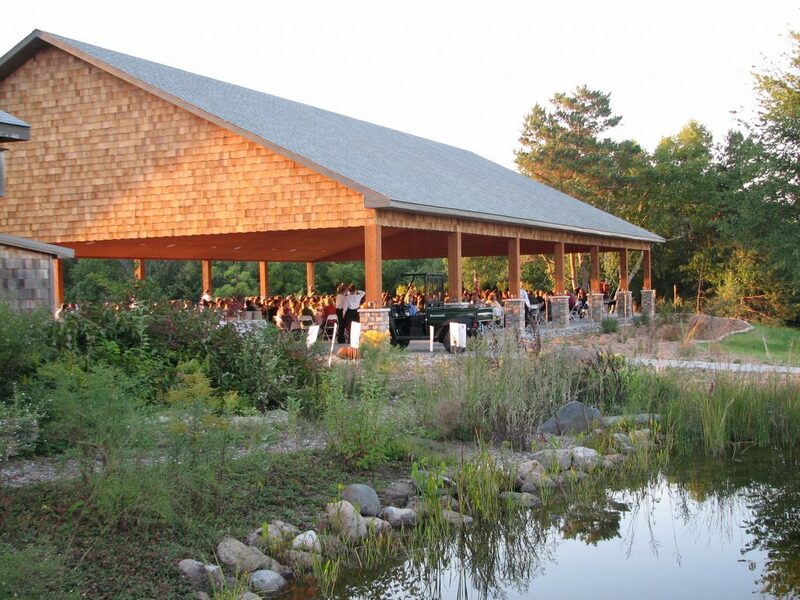 The River Bluff Pavilion is ideal for large events, such as weddings and grand dinners, and offers a spectacular view of the St. Croix River valley. 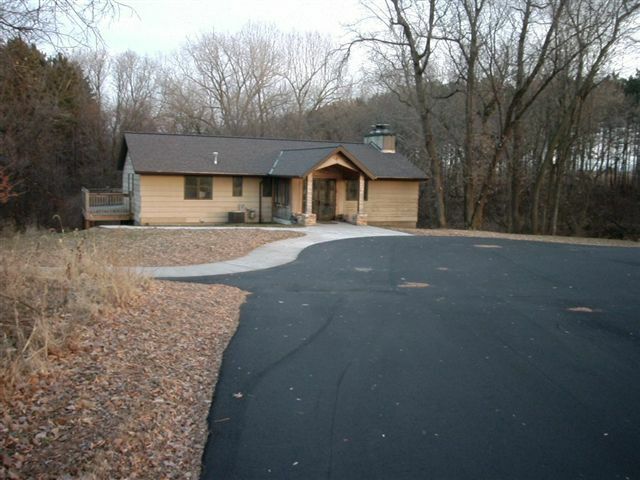 For meetings or corporate conferences, we have the Flint Hills Trailside Lodge and Conference Center, which contains a large meeting room and two smaller conference rooms. Furthermore, we have a number of scenic outdoor facilities that are perfect for smaller, outdoor gatherings: the Schaffer Gazebo, River Overlook, and Ravine Lookout. All three offer beautiful views of the surrounding scenery. Once the private estate of Thomas E. and Edna D. Carpenter, Carpenter Nature Center is now open to more than 17,000 visitors a year. We have more than 10 miles of hiking trails that wind through breathtaking sceneries, including the restored prairies, wooded ravines, the apple orchard, and the river of the 425-acre Minnesota Campus. This outdoor oasis offers spectacular views for your events, and the serenity of being away from the hustle and bustle of urban life. Moreover, the wooded bluffs and restored prairie of our 300-acre Wisconsin Nature Preserve are home to diverse and rich wildlife. While it is located a few minutes south of Hudson, it offers a great venue for hiking and bird watching. Explore our trails or hold your event in one of our scenic outdoor facilities. 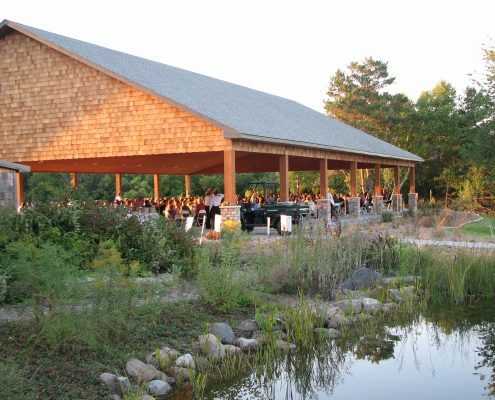 If you have any inquiries regarding our events or rental facilities in Minnesota, feel free to call or email Carpenter Nature Center. Our friendly staff is ready to address your concerns. The 3M River Bluff Pavilion was built over the summer of 2011 and provides a spectacular view of the St. Croix River valley. The Pavilion is located just to the north of the Visitor Center. Its dimensions are 60 x 90 feet with a 20 x 20 “bump out” area for caterers. There are canvas sides to roll down if needed and built in speakers in the ceiling for sound also if needed. Chairs and tables are not included, but may be rented from CNC. Please call for pricing. Carpenter offers 3 decks available for outdoor gatherings. The Schaffer Gazebo, Ravine Lookout, and River Overlook are free to use and open to the public daily. For a private event, these decks may be roped off for a fee. All three offer breathtaking views. Space is limited; Schaffer Gazebo and the Ravine Lookout are recommended for 20 people in a standing room only style as chairs are not provided. The River Overlook has been recently renovated and now serves as an outdoor amphitheatre with stadium-style seating for 50 people. Fee: $150/hour with a two-hour minimum. The Lodge at CNC offers a scenic hideaway for your group. 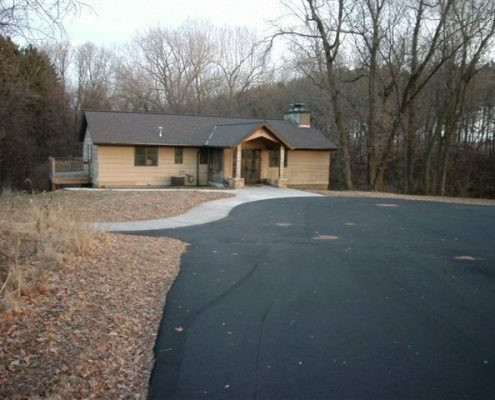 Nestled in the woods, this private building contains a large meeting room (26’x30′), that seats approximately 20 people at tables. It also has 2 smaller conference rooms (15’x18′ and 15’x15′), which seat 5-10 comfortably at tables. Reservations will not be confirmed until a 30% deposit and completed contract are received. Payments are due in full prior to the start of each event. For Lodge rentals, if cancellation occurs within 2 weeks prior to event, your deposit will be forfeited. For pavilion and outdoor site rentals, deposit will be forfeited if cancellation occurs within 9 months of event. All food, beverages, and kitchenware are your responsibility. Upon request, CNC will provide a list of local caterers. Smoking is not permitted inside any of the buildings or the pavilion. Receptacles are located outside. Alcohol is permitted with permission and must be served by a licensed, insured bartender; proof of insurance and liquor license required. You must provide security, in the form of an off-duty Washington County Sheriff Deputy, when alcohol is served and up to ½ hour after your event ends. Pets are not permitted in any buildings, but are allowed on trails on a 6′ leash. Pet waste must be picked up. It is your responsibility to leave the facility as you found it. Receptacles will be provided for trash and recycling. CNC Management reserves the right to revoke use permit or assess damages if any part of the contract is not followed. 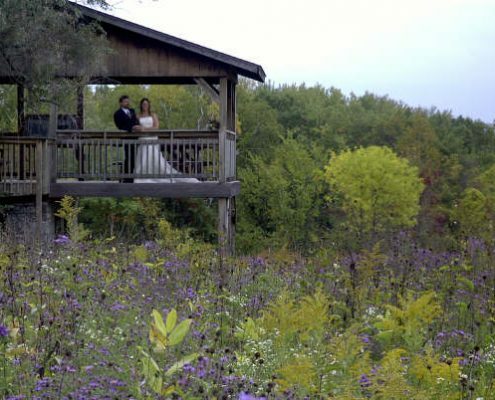 For rental inquiries, please contact our Rental Coordinator Alan Maloney by call the Nature Center at (651) 437-4359.